Darci’s Deli is committed to offering the finest food offered in town. Our sandwiches are award winning, and our salad bar is all you can eat. We are committed to making the best sandwiches. We have homemade soup every day along with Pam’s award winning bakery goodies. We are a sister team that works together here in Marble Falls Texas. We strive to provide great home cooked food all made from scratch. 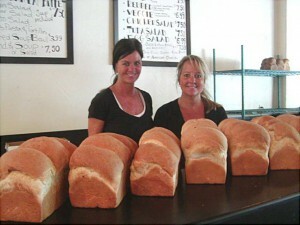 We make our own bread every day, homemade soups, and an all you can eat salad bar. All our sandwiches are made from the finest ingredients. We also feature a specialty dish every day from Chicken Pot pies to King Ranch casserole. Our baker is Pam and we have fresh home baked goodies every day. Pam also does wedding cakes and specialty cakes for any occasion. Just ask her for any theme and her artistic ability will create for you. If you want the best food in town come see us for lunch! We have won the award for the best sandwiches every year since we opened in 2007.